The Compostelan pilgrim encountered poisonous waters and the treacherous Navarrese at the Río Salado. Chapter six of the Pilgrim’s Guide is devoted to the many rivers pilgrims would encounter on their journey and which had water that was potable and which were poisonous. Among those rivers deemed safe to drink from there was the Aragón, whose source was in the Pyrenees and passed through Jaca and the Rio Runa which crossed Pamplona. At Estella was the Ega and at Logroño, the broad Ebro. Further west, the Pisuerga and the Carrión, the Cea at Sahagún. The list continued as far as Compostela. As the author puts it, “If I have described these rivers, it was in order that the pilgrims that proceed to Santiago may strive to avoid unhealthy waters and may choose to drink those that are good for them and their mounts”. Pilgrims were warned against certain rivers, curiously all of which were to be found in Navarre. There were two rivers, one near Los Arcos and another near Torres del Rio whose waters were deemed fatal to man and beast. Another near Cuevas and all those between Estella and Logroño were similarly perilous. 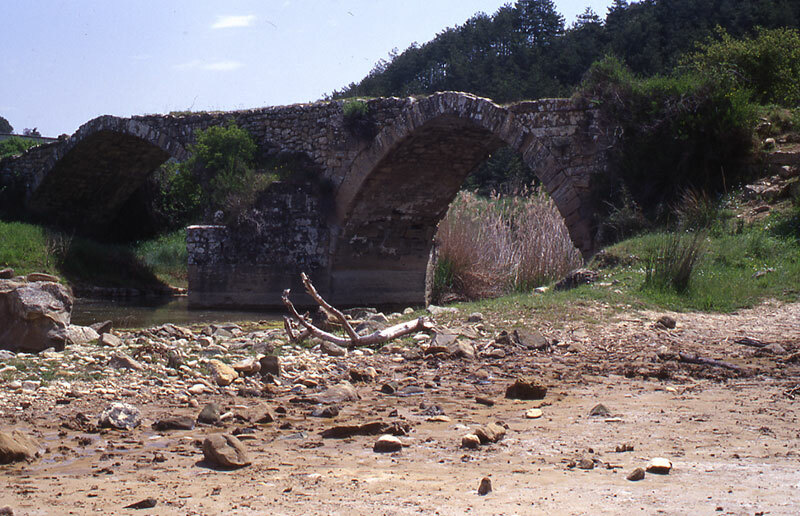 The Rio Salado in the vicinity of the town of Lorca between Puente la Reina and Estella was especially warned against. Its very name suggestive of its briny nature was considered lethal to horses. The text describes first hand evidence of the deceitful practice of the local Navarrese in persuading pilgrims that the water was safe for horses. According to this account, upon arrival at the banks of the river, two Navarrese were already seated sharpening their knives. When questioned whether the water was safe they answered that it was but as soon as the pilgrims horses drank from it, they died immediately whereupon the locals took to skinning them without delay. This account is in keeping with the general opprobrium in which the Navarrese are held in the Pilgrim’s Guide. In the subsequent chapter which deals with the various people pilgrims might encounter on their journey to Compostela, they are conflated with the Basques and Saracens and described in the most toxic terms as being black of colour and, “their face is ugly and they are debauched”. The celebrated ambush of Roncevaux and Charlemagne’s campaign against Pamplona was but one episode in a long history of enmity between the Franks and their foes across the Pyrenees. This negative attitude towards the Navarrese may ultimately find its source source in old oral traditions which were derived from accounts of their conflicts.